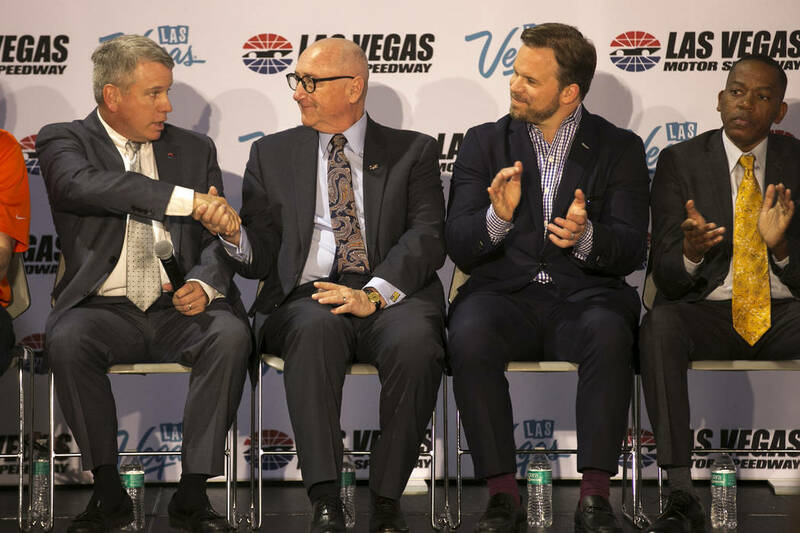 To acquire the second race, Speedway Motorsports Inc., LVMS’ parent company, had to move the fall race from its sister track at New Hampshire Motor Speedway. 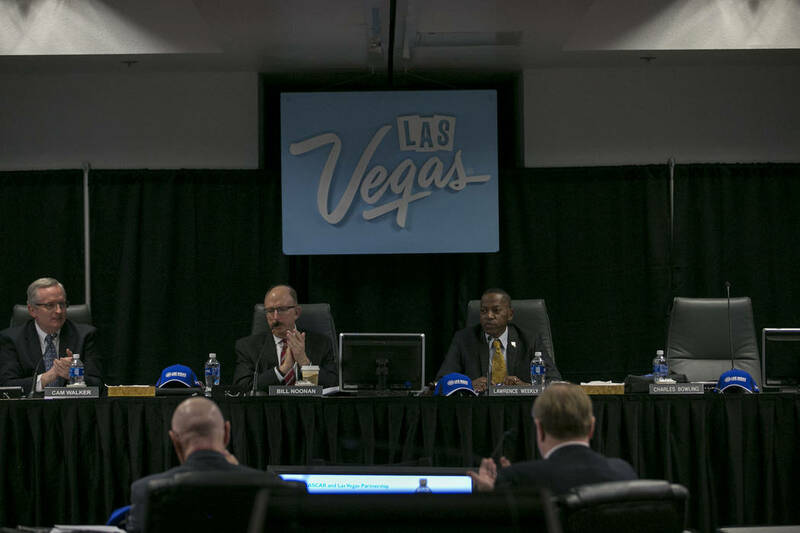 Just before the rubber stamp was applied to a document stating Las Vegas Motor Speedway would be hosting a second NASCAR Cup Series race effective September 2018, Mayor Carolyn Goodman motioned to where five fast guys were sitting in a row at a special meeting of the Las Vegas Convention and Visitors Authority board of directors. 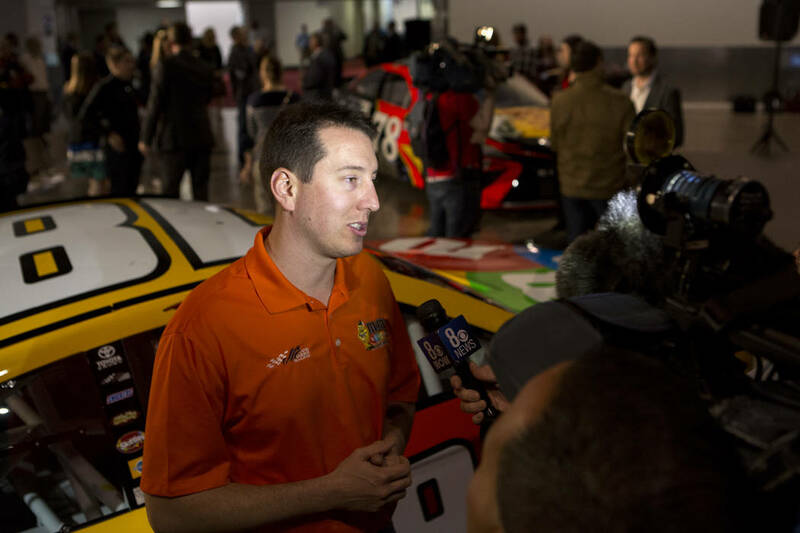 She mentioned the names of Kurt Busch, Kyle Busch, Brendan Gaughan, Spencer Gallagher and Noah Gragson. “What took you so long?” the mayor said into her microphone, feigning exasperation. 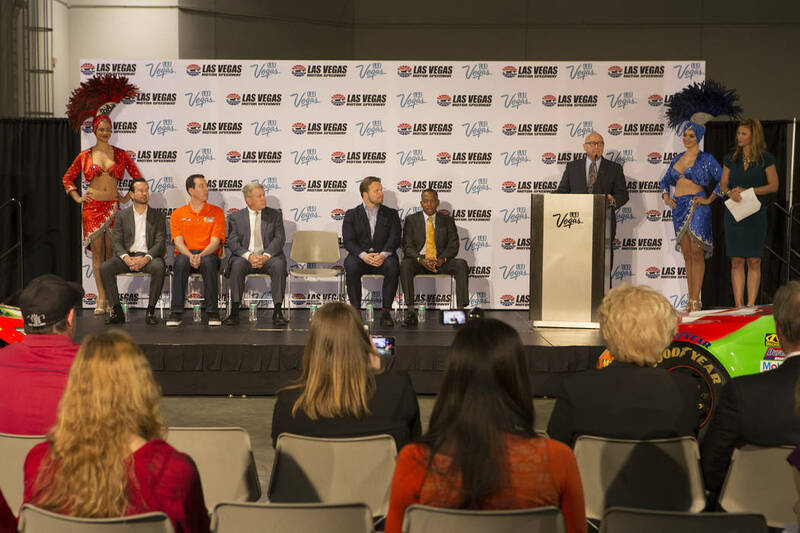 Of all the questions that would be asked Wednesday at Cashman Center, that one might have been best. 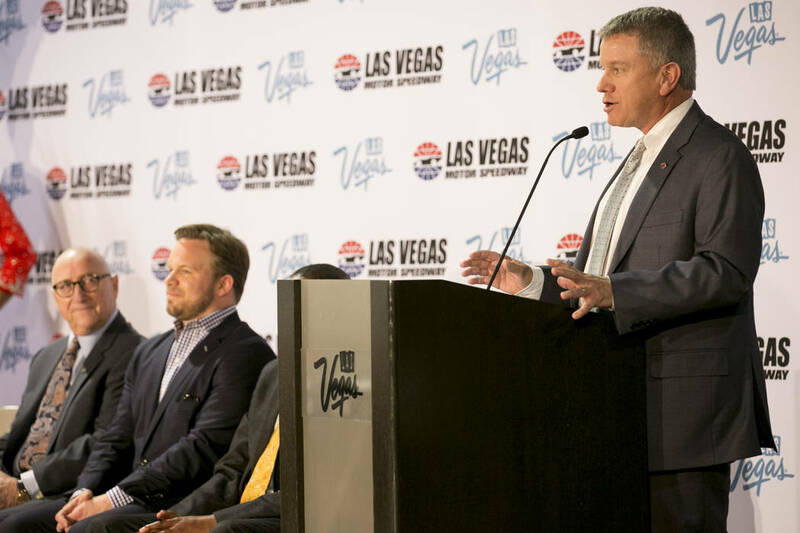 Some of the other tourism and government officials mentioned how they had been working on bringing a fall race — a NASCAR playoff race — to Las Vegas for six years. 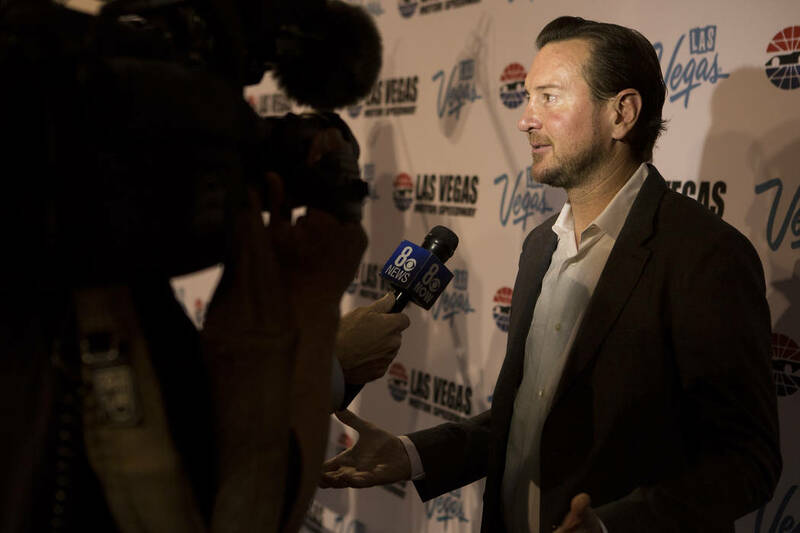 LVMS president Chris Powell said it was more like 16. 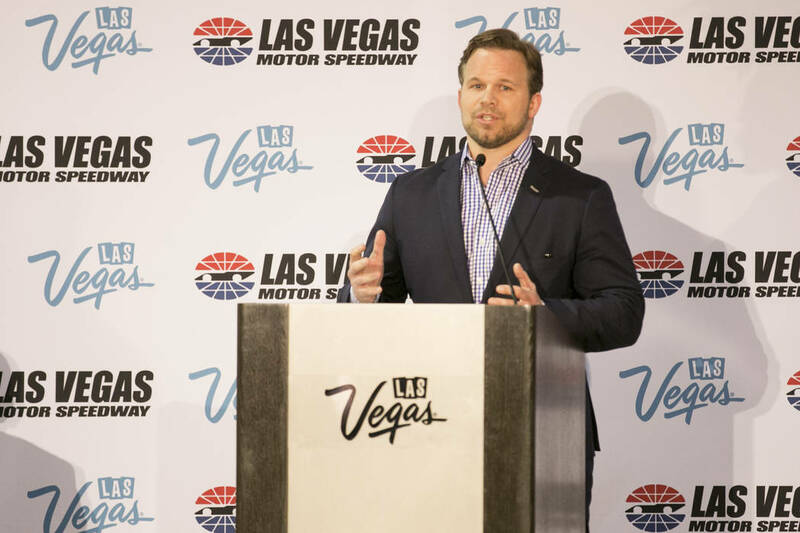 To acquire the second race, Speedway Motorsports Inc., LVMS’ parent company, had to move the fall race from its sister track at New Hampshire Motor Speedway. 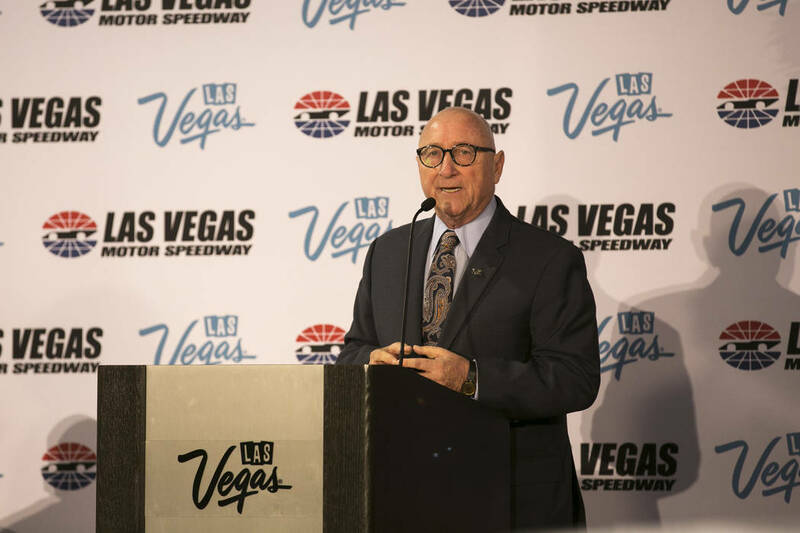 When a reporter dialed in to ask about the jilted race fans back there, SMI president and CEO Marcus Smith said not to worry, there’s going to be a big super-modified race in its place. I don’t think the race fans in the Northeast are going to buy it. But, hey, they had their chance to buy tickets for the fall race rather than stay home to watch the Patriots on TV. Race fans in New Hampshire aren’t the only ones who have turned to the NFL and other entertainment options on race day. 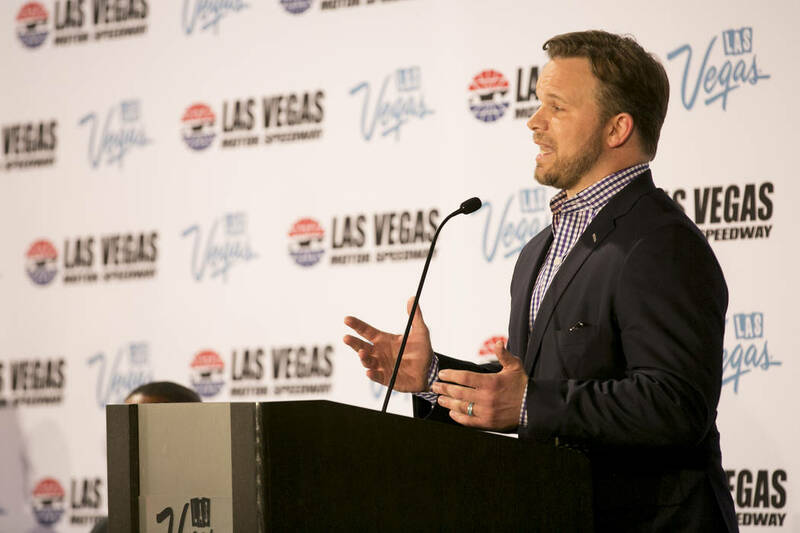 According to a report released last week, tracks that host the majority 0f NASCAR races saw admission revenues drop 7.4 percent in 2016, marking the ninth consecutive year of declines. 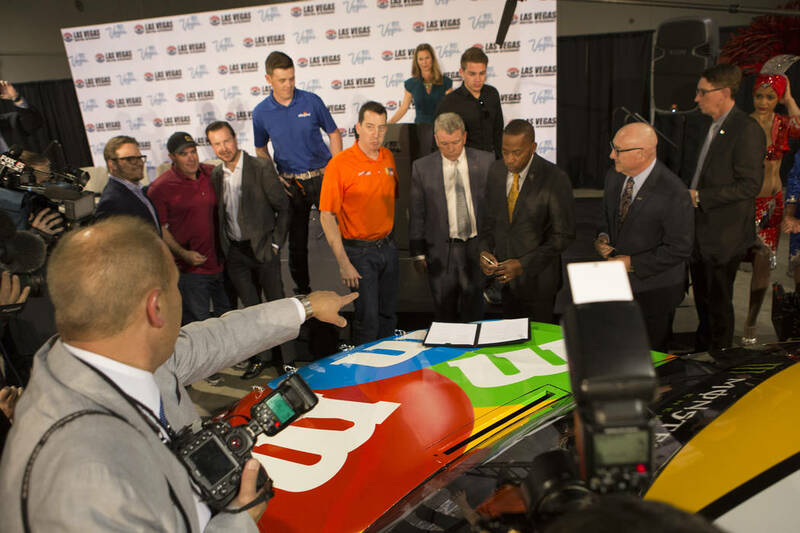 TV ratings are down; star drivers such as Jeff Gordon and Tony Stewart are out. Entire grandstands have been razed or fitted with brightly colored seats arranged in a mottled pattern to create the illusion of spectators sitting in them. 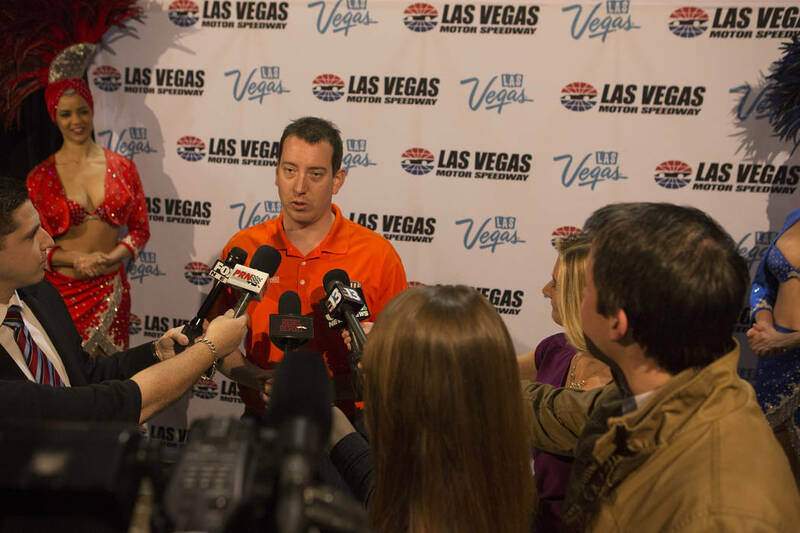 The sustainability of a second NASCAR race in Las Vegas once was considered a slam dunk. Now some wonder if it might be closer to a 3-point shot. 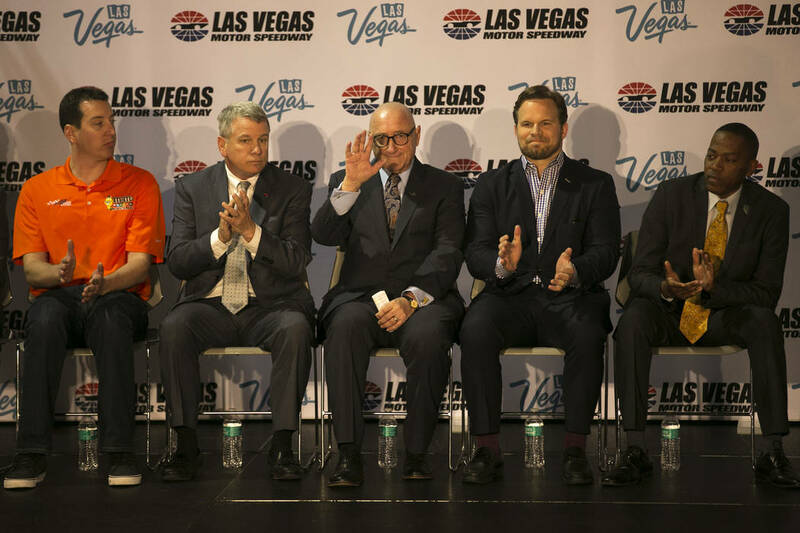 Even Powell agreed times have changed, but suggested that when it comes to NASCAR and shooting the 3, Las Vegas is Steph Curry. 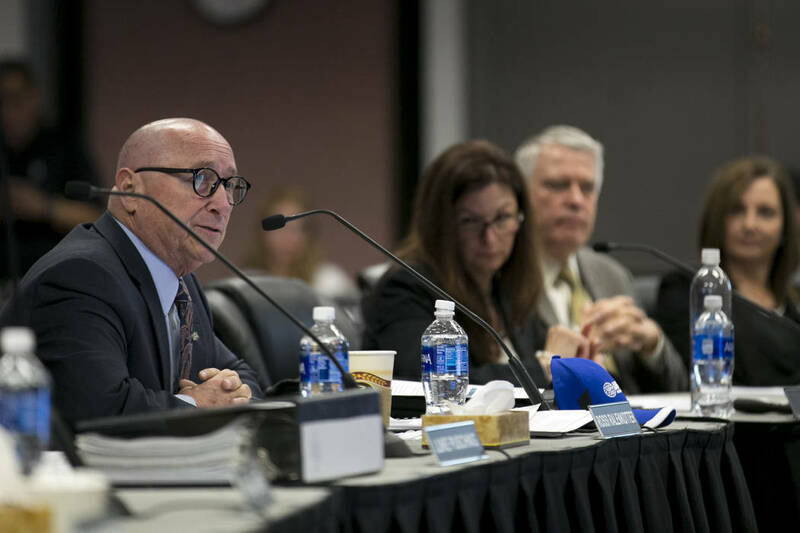 “I think there are more challenges, but it’s not all about attendance at the facility,” Powell said after most of the tourism and government officials had left the meeting hall. 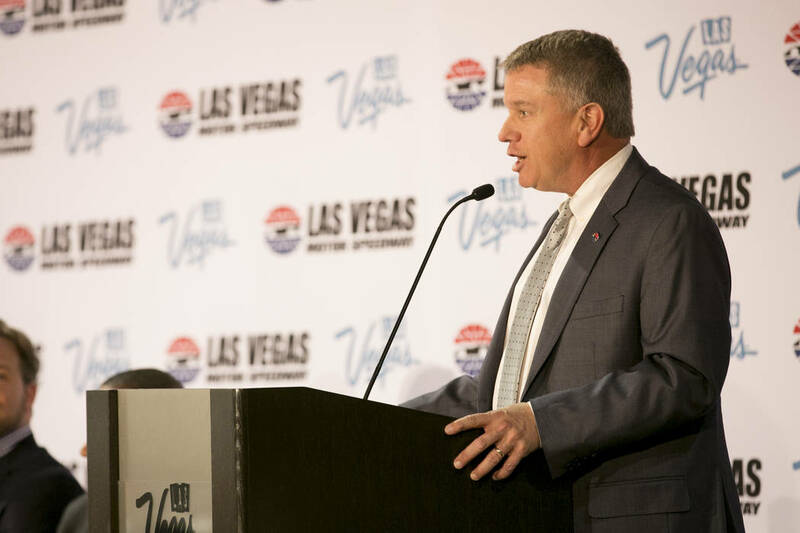 “Las Vegas has repeatedly drawn some of the highest television ratings in all of the sport — again, it’s not all about attendance. 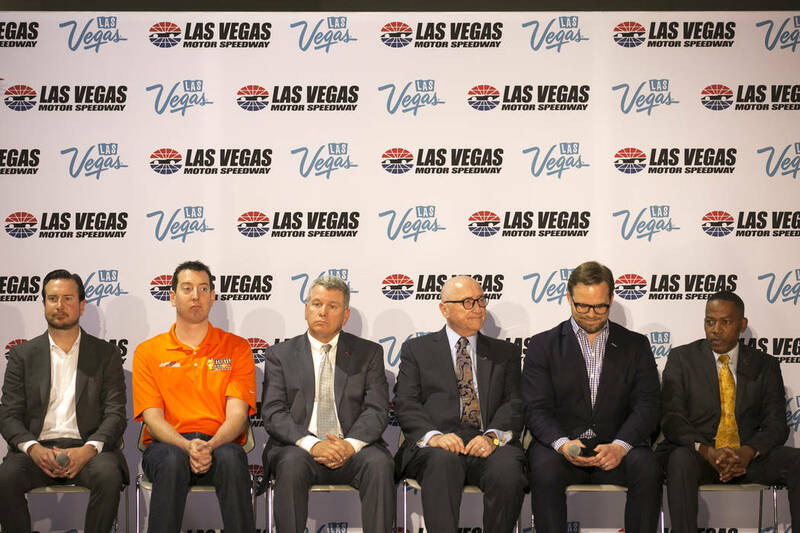 When word leaked about a second Las Vegas race — along with the existing Kobalt 400 weekend, it’ll be a NASCAR tripleheader: Truck Series, Xfinity Series, Cup Series, the only track in NASCAR that will offer two such weekends — driver Kevin Harvick said he hoped a lesson was learned at Auto Club Speedway in California. When a second race was added there, many fans picked one or the other and both races suffered. “Sometimes you can turn one great (race) into two mediocres,” Harvick said. But Fontana ain’t Las Vegas, regardless of how far the Los Angeles shadows extend. That’s why whereas the skeptics in the back of the room were envisioning an empty barn and a horse that had long since moved down the road, the tourism and government officials up front were conjuring images of people from the southern states huddled around a blackjack table spending lots of discretionary dollars. Sometimes the difference between the front of the grid and the back is all a matter of perspective.